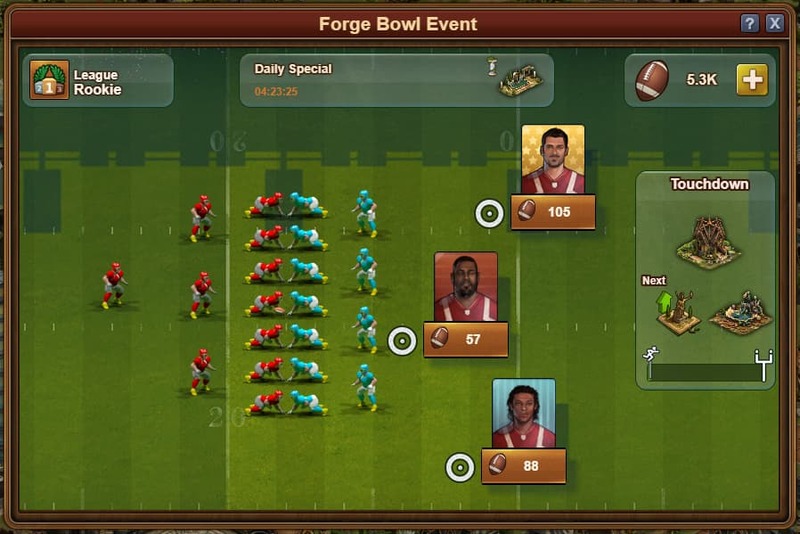 During Forge of Empire Bowl 2019 Event you need to score touchdowns to get special prizes and Colossus upgrades. But which player to choose to pass a ball? At first glimpse it seems the best choice would be longest pass, right? But it is not. As you can see short pass wins. You not just saving ~50 footballs to score touchdown comparing with longest pass. But you also make more passes and it means you get more different prizes, because with each pass you win something, including daily specials. Our choice is short pass.